Read the words yourself, or choose to have the narrator read aloud as you follow along. 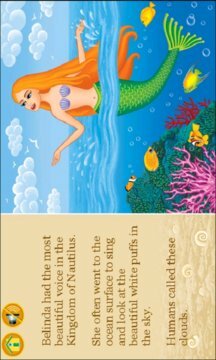 The professionally-edited script is accompanied by beautiful illustrations, fun mind stretching puzzles and simple-to-use controls that are fit for a princess! Each MerryFairyTales book is designed to enhance children’s imagination, build literacy skills and encourage love for reading! 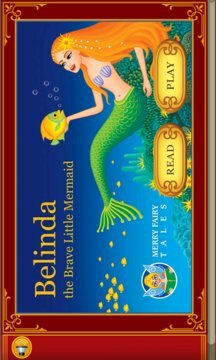 "Belinda, The Brave Little Mermaid" is published by MerryFairyTales©.